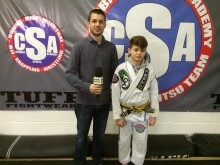 Thursday 5th November – Dartford Judo Centre in Kent played host to the Junior and Juvenile English Open Brazilian Jiu Jitsu (BJJ) Championships at the weekend. 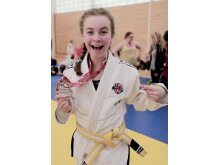 More than 250 competitors, boys and girls, ranging from 5 to 17 years old competed on Saturday 31st October at the state-of-the-art facility to become English Champion in their respective categories. 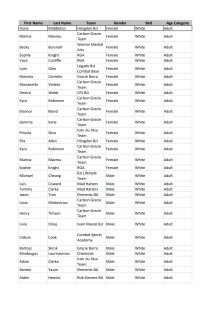 Competitors traveled from across the UK for their shot at success. 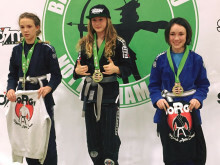 The national competition is held annually under the auspices of the UK Brazilian Jiu Jitsu Association (UKBJJA), the sport’s governing body elect and is one of the most important events of the year for junior BJJ players. 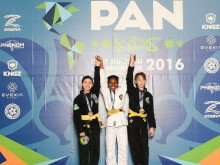 The field included first time competitors and former champions competing for gold, silver and bronze medals although every child also received a certificate of participation. 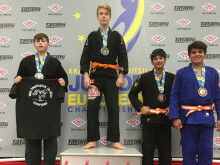 Providing a supportive and safe competition environment and a ranking system which recognises emerging talent around the country is essential to the UKBJJA’s policy on junior development. 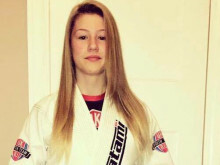 Richard Martin, UKBJJA Chairman and tournament director, commented after: “Seeing the level of talent on display makes me feel very proud, I see so many talented kids year after year on the podium and really enjoy watching their progress and development. 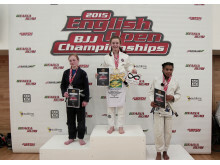 I want to congratulate all the parents and coaches on the level of Jiu Jitsu we are achieving together and also to mention how polite and well-mannered the children were.” Next year some of these stars of the future might be old enough to compete at the Adult English Open BJJ Championships. The 2015 event takes place in a few days time on 14 and 15 November also in Dartford when the best athletes in the UK gather to compete for the chance to be English Champion. 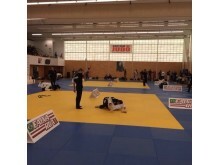 The UKBJJA (www.ukbjja.org) is a not-for profit organisation which aims to provide a governance structure for the martial art of Brazilian Jiu Jitsu, that promotes and develops the sport while allowing individual clubs and practitioners the space and freedom to practice the martial art in the way they enjoy. 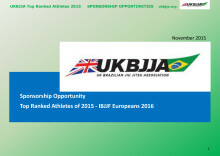 The UKBJJA is currently under assessment to be recognised by Sport England as the governing body for Brazilian Jiu-Jitsu in the UK. 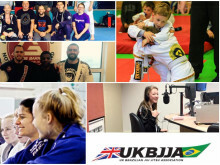 The UKBJJA was formed in 2013, the association’s goal is to foster the development of BJJ at elite, community and grassroots levels, raising the profile of the sport but also providing pathways for development and involvement across communities in the UK. Visit UKBJJA at www.ukbjja.org or follow us on Twitter @ukbjja. 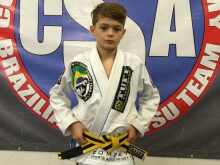 The UKBJJA has released a new policy for Junior and Juvenile BJJ. 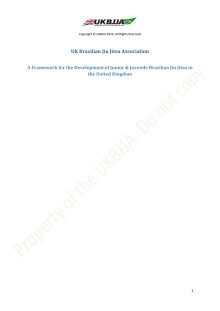 It is the aim of the UKBJJA Board of Directors and UKBJJA Council that this document acts as a framework and set of guidelines for the development of Junior and Juvenile Brazilian Jiu Jitsu (BJJ) in the UK in a safe and enjoyable environment.